A new season for the Tribe opens without a familiar face in the dugout. 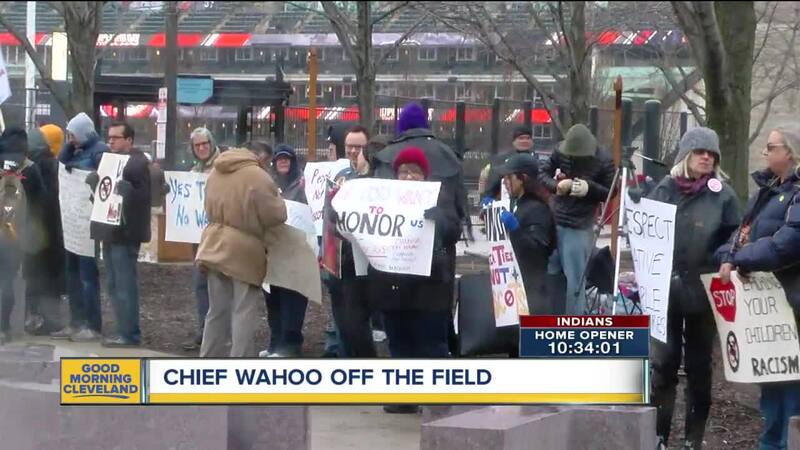 Starting in 2019, Chief Wahoo will no longer be on the field with the Indians. CLEVELAND — A new season for the Tribe opens without a familiar face in the dugout. Starting in 2019, Chief Wahoo will no longer be on the field with the Indians. Rusty Bliss started rooting for the Indians when his father took him out of first grade to go to a game. Chief Wahoo will no longer be on the Indians' hats or sleeves, but will be sold in the team store. "I've been an Indians fan ever since and it's been all about Chief Wahoo," said Bliss. It's been about Wahoo so much that Rusty started a Facebook page that now has more than 17,000 followers, and many of them see Wahoo the same way. New signage shows the "Block-C" that will be the team's new main logo. "When you see that logo, that's a sign that 1) baseball is coming and 2) it's about to warm up," said Bliss, sitting outside Progressive Field. "You know spring and summer are right around the corner." For years, local Native American groups have taken a much different stance. Chief Wahoo is still on merchandise at the team store and will be available away from Progressive Field too. 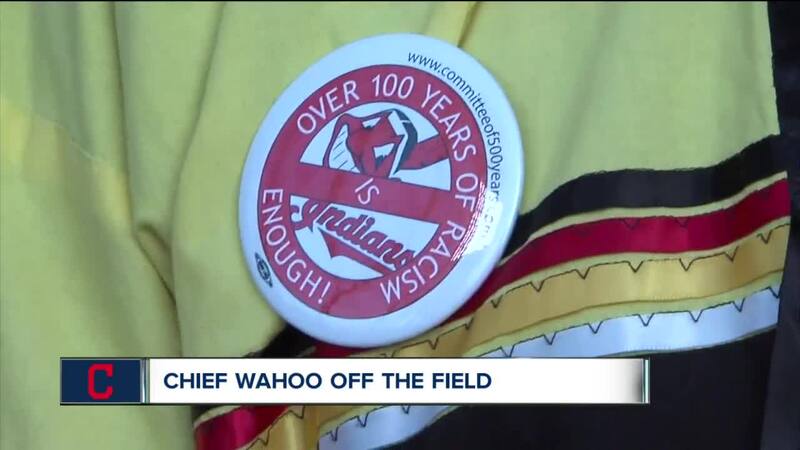 "Wahoo is a racist symbol," said Cleveland American Indian Movement Executive Director Sundance. "We made a point of saying that if you spend a dollar with Major League Baseball [before Chief Wahoo was removed], you're spending a dollar for racism. I think that really caught their attention." For the 2019 season, Major League Baseball and the Indians came to an agreement that would take Chief Wahoo off the team's uniform on the field. Fans will still be able to buy hats and other merchandise with Chief Wahoo on them both inside and outside Progressive Field. Bliss says he doens't like the new "Block-C" and prefers the "C" the Indians used in the 1970's. "It's a caricature," said Bliss. "It's not meant to be offensive. It's a cartoon and it's a happy cartoon and it's the history of this team." But the logo is only part of Sundance's concerns. "The racism that happens at the stadium with the red-face and the people dressing up as natives and the hooping and hollering, somehow thinking that they're honoring us, that doesn't come because of Wahoo," said Sundance. "Wahoo comes because of that." That's why Sundance says the Cleveland American Indian Movement will keep protesting outside Indians' games, now focusing on the use of "Indians" as the team's name.